The PhD project aims to establish a radically new approach to interrogate cell signalling cascades in a physiologically realistic context to enable screening of complex signalling networks for applications in virus entry. We will show the power of the approach by developing improved in-vitro disease models during the first stages of HIV-1 entry and fusion. 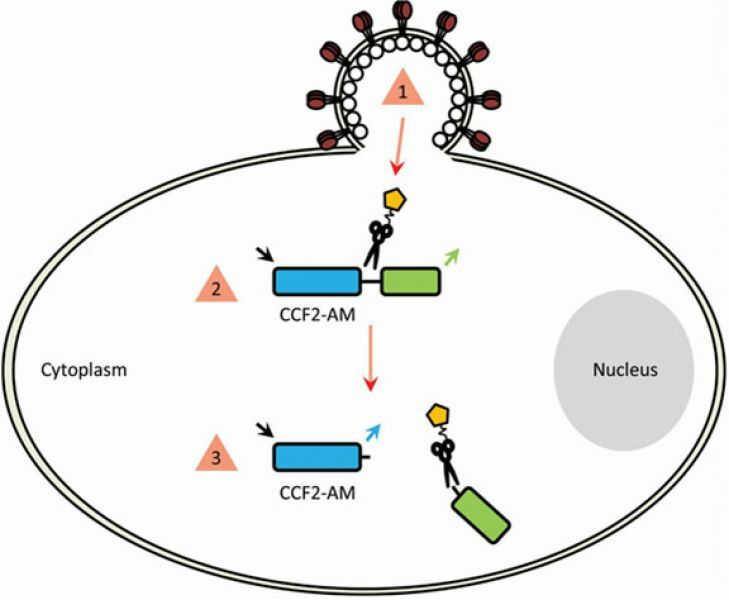 We will use high content analysis and advanced 3D imaging for assays of multiple cell signalling readouts within 3-D cellular HIV disease models using Primary and iPS derived cells and tissues. Multiplexed fluorescence-based readouts of molecular processes will be carried out using Förster resonant energy transfer (FRET) based biosensors. We will exploit the power of automated imaging technology and develop analysis tools to probe a specific set of signalling pathways acquiring many image-based spatial and temporal readouts from a single coverslip. We will design labelling strategies to optimise multiplexed FRET readouts, exploring the use of spectrally efficient FRET probes including constructs utilising homo- and hetero-FRET with dark acceptors. FRET readouts will be complemented by 2-colour correlation imaging readouts to provide a robust and independent readout of protein interactions. Cell arrays will be prepared in 3-D cultures to provide a more physiologically realistic context than conventional cell-based assays. 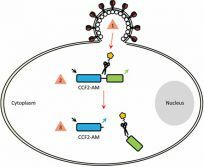 To evaluate the efficacy of this approach and refine the technology, we will interrogate common pathways associated with HIV-1 entry and infection in primary cells and tissues.